2. ¡ Que cosas tiene el amor ! The Catalan rumba cannot be understood without looking at Peret. 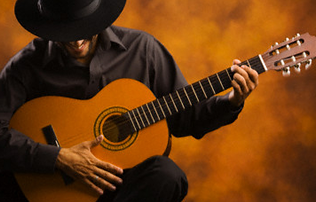 This rumba starts off from the flamenco rumba but gives it more vitality and introduces an urban element into its lyrics. 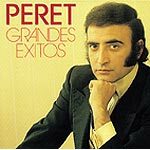 Peret has known how to merge it with other rhythms and to adapt a wide Latin American and Caribbean repertoire to this particular musical style. Borriquito, El gitano Antón, Una lágrima cayó en la arena, Saboreando... are only some of the Catalan rumbas by Peret that have been heard tirelessly on the airwaves, in clubs, and in beach kiosks... and they remain in people´s memories today. The amount of records that he released is almost impossible to count, and also includes re-releases, compilations and anthologies.